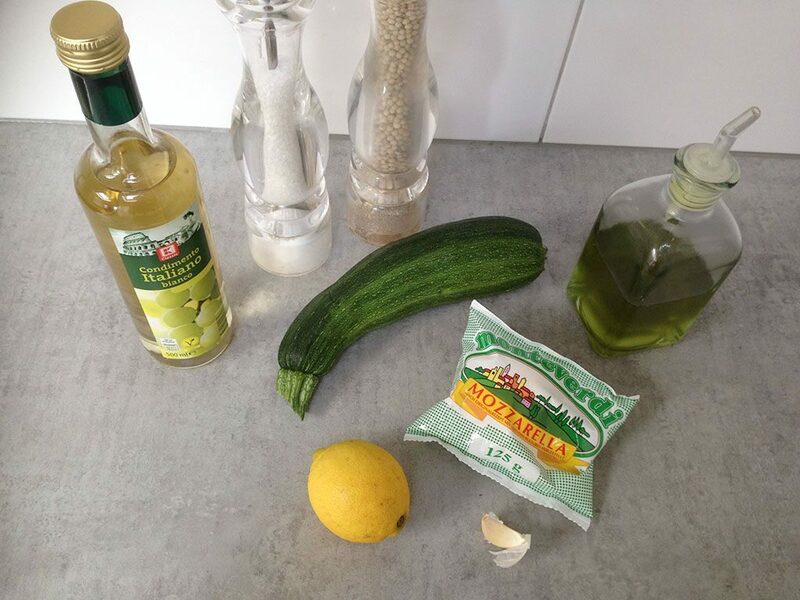 RINSE the zucchini, remove the ends and slice the zucchini into thin long strips. 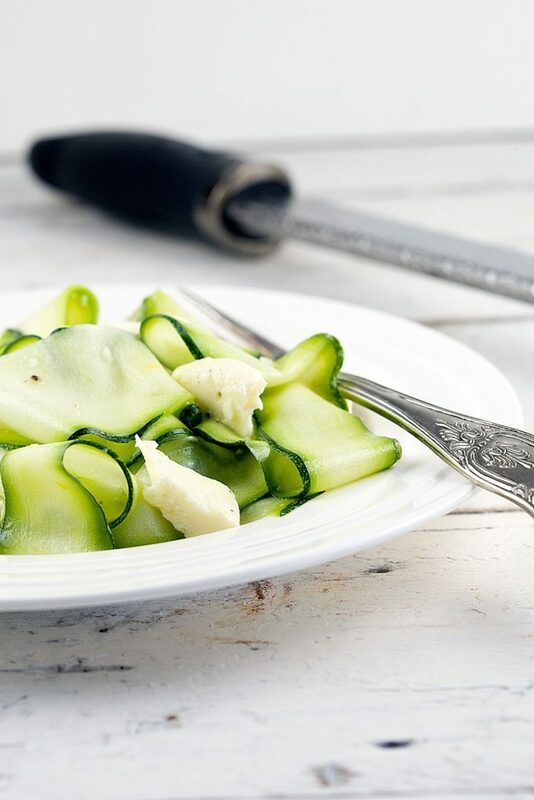 You can use a mandoline, kitchen cutting machine or vegetable peeler to get this result. PEEL the garlic clove and chop as fine as possible. 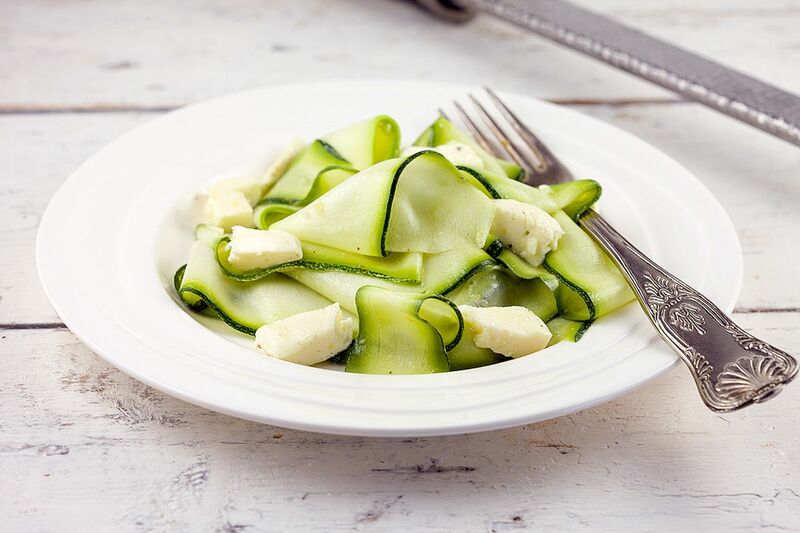 GRATE half of the lemon and combine the zest and finely chopped garlic with the zucchini strips. SEASON with pepper, salt, olive oil and about 40 ml of white wine vinegar. 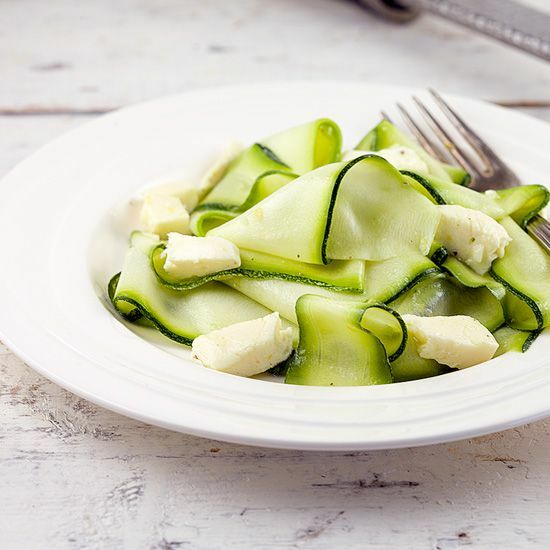 CHOP the mozzarella into pieces and stir it into the salad. Let it marinade for half an hour so the flavors can enhance. Enjoy!